There are many creative ideas for making your own jewelry holder; using a picture frame provides a tangle free solution. This is a guide about making a picture frame jewelry holder. Necklaces keep getting tangles? I just found an old picture frame, nailed in some hooks, and Voila! A new and attractive necklace holder for my jewelry that used to lay in drawers. 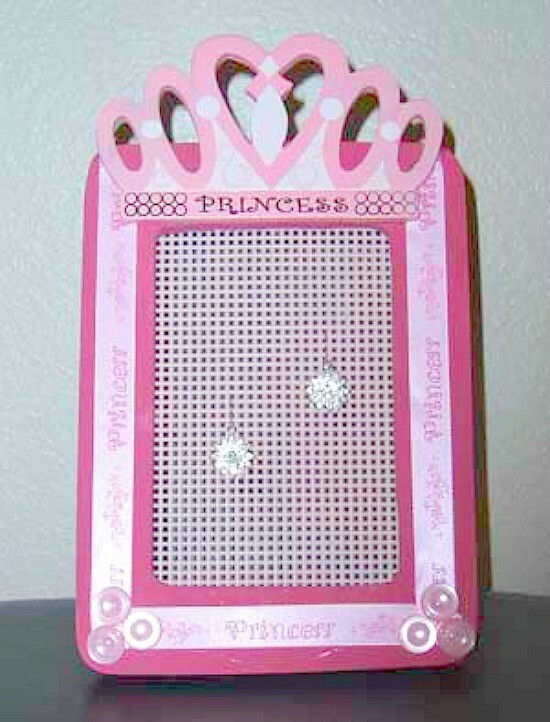 Decorate a photo frame and add a piece of plastic canvas to make a cute personalized earring holder. I got tired of digging through my earrings to find the pairs, so I made picture frame that could hold my earrings in a decorative manner. This is a guide about making a photo frame ring holder. A tiny photo frame can be decorated and made into a unique holder for your rings. 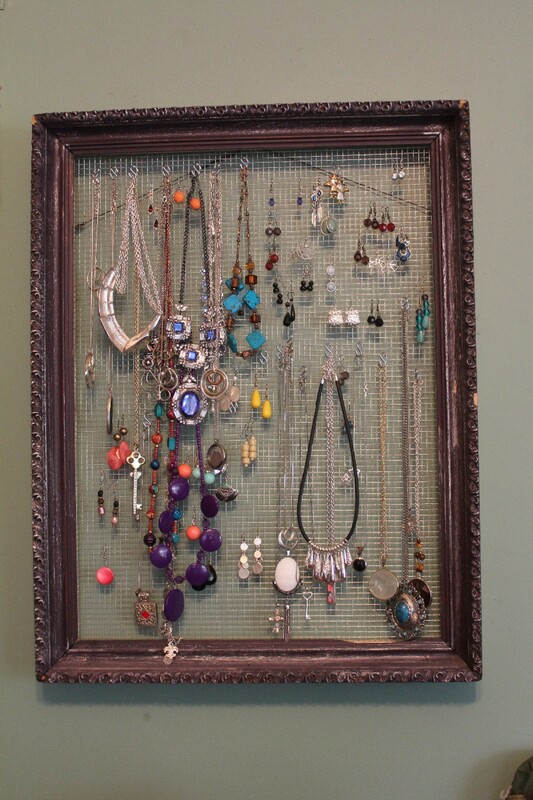 An old picture frame and some hardware cloth can be used to make a unique jewelry display. It is a good way to organize some of your favorite pieces. 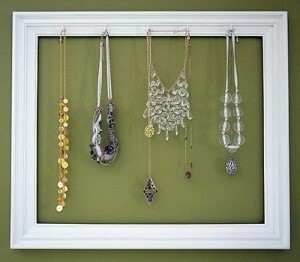 This is a guide about recycled picture frame jewelry display.